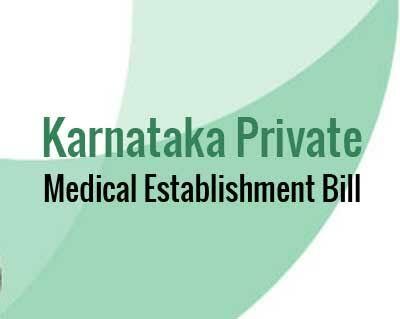 BENGALURU: The controversial Karnataka Private Medical Establishment Amendment Act (KPME Act) has fallen once again into a controversy after a doctor from Puttur approached the Karnataka High Court demanding the inclusion of government doctors under the Karnataka Private Medical Establishment Amendment Act. The New Indian Express reports that the petitioner, Dr K Raviprakash, has questioned who stated that the said amendment was brought only to concentrate on private doctors, despite knowing that the law is uniform. KPME Bill was introduced by the state government last year, and proposed many controversial clauses including six months to three years jail term and hefty penalty for medical negligence on the part of doctors. The bill had met with immediate protest from the medical fraternity, whose strike paralysed medical services in private hospitals and nursing homes in the state. Finally, a diluted version of the controversial medical bill to regulate private health care was passed by a voice vote in the Karnataka Assembly after dropping a jail-term clause for doctors. Now stating the amendment being discriminatory, the doctor has asserted that the Criminal Procedure Code and IPC do not make a distinction between a private medical establishment, a government establishment or public facility which have the same duty towards the victims. Hindu quotes the petition as stating “The KPME Act is seeped with errors and is a product of legislation without competence,” and the petitioner termed the Act “discriminatory” as it excludes State-owned hospitals from its purview. It also pointed out that the Justice Vikramajit Sen committee, which was constituted by the State government to look into and evaluate the need for taking legislative measures to control and manage hospitals, had recommended inclusion of both the State-owned and private hospitals under the enactment. Responding to the petition Justice Vineet Kothari ordered notice to the State Government, Medical Council of India(MCI), president of Indian Medical Association of Karnataka. It is prima facie a vindictive act. Intentions are malafide. Comparing a clinic with a barber shop is shocking- the concerned minister had stated that if the rates can be notified in a barber shop , why not in a climic/hospital !!. This is a dignified profession and any attempt to drag it down and paint the practicing physician as a greedy ,incompetent rogue is doing injustice to an overwhelming majority of physicians. The way it is implemented till date on the ground leaves a bitter taste in the mouth. The inspecting authority, the way the inspection criteria are being implemented leave much to be desired. The lengthy paperwork, the documents requested are at times ridiculous. Why do they need the rental agreement, layout diagrams, no.of personnel employed, fire safety certificate and so on? In what way do these documents contribute to patient care? Most clinics are run in small establishments since they are the only affordable ones. A fresh graduate does not have loads of money to afford a large set up with all fanfare. The patient is free to decide if the clinic/ hospital meets his need. None can survive in the business without competence and market forces will force all practitioners to be competent willy nilly. The public is not a fool. And their demand for excellence will force all and sundry to keep up to minimum standards. KPME like organisations cannot do this and in fact are redundant. The state Medical councils already have a criteria to renew registration and that should be enough for the purpose, No duplication is needed. I hope wise counsel will still prevail with the authorities. First place , why patient go to private hospitals ? Government should set the standard of private hospitals ! It is surely better than govt facility that is why patient flock to private establishment ! By punishing the private establishment government is trying to hide their incompetence ! That is precisely what will happen now. Government has to upgrade its hospitals. Government is not in the position to upgrade fascilities at Government run Hospitals.So it is trying to bring down the standard of care of Private hospitals on par with Government hospitals.Political establishment should have the willingness to improve fascilities.